SOG Trident Elite Folding Pocket Knife Satin | BUDK.com - Knives & Swords At The Lowest Prices! The Trident Elite Straight Edge Pocket Knife is ready for any emergency situation and a must-have in your mission gear. The tanto blade is made of sturdy AUS-8 stainless steel and the handle is made of durable glass-reinforced nylon with textured rubber inserts. 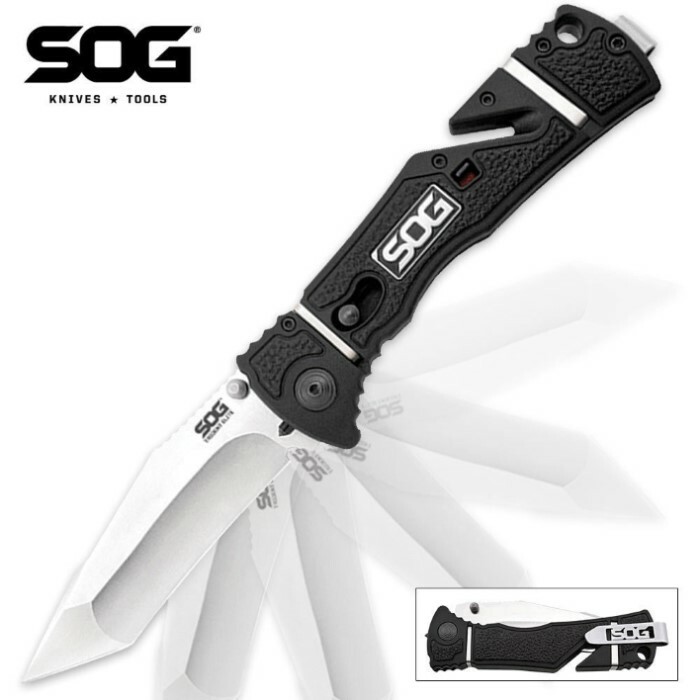 SOG's patented assisted opening technology gives you quick and easy access to the 3-1/2' blade. A slot cutter built into the handle can cut its way through thin rope, belts or webbing, all without even deploying the blade. The closed length is 5".